As October comes to a close, most of us realize just how close we are to winter and the challenges that come with owning rental property during the cold months. Avoiding the broken pipes, leaking roofs and tenant injuries that snow and ice can cause is not rocket science. A little preventive maintenance can go far to keep your bank account a little healthier—and you a lot less stressed out! Have the heating system in your rental property checked out for safety, as well as efficiency. Of course, this is the busiest time for professional heating and air services. Landlords should consider signing up with your preferred provider for automatic annual or semi-annual maintenance checkups. It’s a great way to keep the manufacturer’s warranty in place—and you might even receive priority status if an emergency occurs. You don’t want to find out your rental property heating system is inoperable during the first cold snap of the season. Change the air filters. You don’t need a professional for this one. Changing the filters in your rental property’s heating and cooling system should be done regularly to reduce indoor pollutants and keep the system functioning properly. Depending on the system, you may need to change the filters every month. If the filters are very dirty, you’ll know you waited too long. Dirty filters cut air flow and increase utility bills—and can even cause the heat exchanger to overheat. Test smoke detectors. Press the button to see if the alarm goes off, but also use a match or other smoke-generating device to test each smoke detector. Older units may not detect smoke, even if they test well. Don’t risk causing harm to your rental property—and especially to your tenants—with malfunctioning smoke detectors. Change batteries in smoke and carbon monoxide detectors. You may see reminders to change these batteries when daylight savings time ends. That date is coming up soon—so next time you’re making routine visits to your rental properties, stock up on batteries and change them in every smoke and carbon monoxide detector in every unit. Inspect for leaks, drafts, and rot. Check around windows and doors, under sinks and throughout each rental unit for spaces where cold air can get in. Seal and caulk any leaks or cracks. Stuff insulation in holes around pipes and around vents. Add foam sealers to switchplates. Look for rotting floorboards. Check the roof for loose or missing shingles and replace them if necessary. Prevent broken water pipes. When pipes freeze, water flow can be blocked. 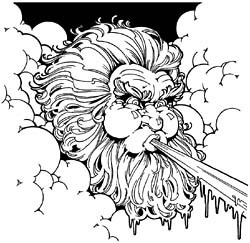 When the water in the pipes freezes, the expansion can cause burst pipes—not something you want to deal with on a cold winter day. Outdoor pipes, pipes that run along exterior walls or through crawl spaces are at risk. Consider insulating pipes with foam rubber sleeves or wrapping pipes with fiberglass insulation. Turn off outside faucets. Insulate them for extra protection. Clean gutters on your rental property to prevent water spilling over and gathering around the foundation. This can be done after all the leaves have fallen. It’ a dangerous job, so take precautions to prevent falls. Trim any broken or dead tree limbs to prevent them from falling during storms. Instruct tenants on what to do in case of emergency. Provide them with at least two phone numbers: yours, a handyman’s and the heating/cooling contractor who takes care of your system. Arrange for snow clearing services. For the safety of tenants and pedestrians, be sure to arrange for snow and ice removal before the first storm hits. Nancy rented out her home in Virginia when her husband was transferred to San Jose, CA. Six months later, he was laid off from his job and they returned to their hometown. Financial difficulties kept them from buying another house. Nancy and her husband wanted to move back into their home, but their tenant still had several months left on the one-year lease they signed when they moved. Jerry rented an apartment above his business to the son of a friend. At first, everything worked out well—but soon, the tenant started paying rent a few days late, didn’t keep the apartment clean, and made way too much noise during Jerry’s business hours. He didn’t want to evict his friend’s son, but realized he made a mistake signing a one-year lease with him. Steve’s situation was the opposite—he had a tenant who purchased a home and wanted to break the lease three months early. Steve’s first inclination was to say “no” and require the tenant to pay all three months’ rent. But the tenant had been great—never late with rent, quiet and no trouble—and he didn’t want to punish her. He was just concerned about renting the unit again. Nancy and Jerry handled their problem with the same solution—they incentivized their tenants to voluntarily break the lease. Nancy calculated how much she and her husband were willing to offer before picking up the phone and calling the tenant. She explained the situation, offered to help the tenant find another place to live, and then asked if he would be willing to move out early. He accepted her offer of assistance and cash, and all was well. Steve wanted to end his relationship with his tenant on a good note. He calculated the three months’ rent, inspected the unit and found that it was in good shape, and offered to let the tenant out of the lease in exchange for keeping the security deposit and one month’s rent. She quickly agreed, and recommended the apartment to a co-worker, who signed a lease with Steve soon after. It is possible to break a lease with a tenant, whether it’s you or the tenant who wants it broken. Usually a little incentive does the trick—but it doesn’t hurt to be reasonable, polite and open-minded! The next time one of your tenants wants to break a lease, think about solutions rather than problems. You might be surprised to see that it can work out for both parties. Smokers are getting used to resisting the urge to light up in bars, restaurants, ball parks and offices. Some cities are considering extending smoking bans to beaches and public parks, too. But generally, smokers can retreat to their homes and indulge as much as they’d like—but this too is becoming a thing of the past. More rental properties are enforcing no-smoking policies. Tenants are hearing they can be evicted for lighting up. Rental property owners are concerned—not about the smoker’s health, typically—but about the affect of secondhand smoke on non-smokers. The Related Companies, a development firm with 17 apartment buildings in Manhattan, instituted smoking bans in some of them a year ago. Smoking tenants who already live in the buildings will be allowed to continue, but new tenants must promise to not smoke at home. Other developers and property management companies have extended smoking bans to common areas, such as sidewalks leading to apartment buildings, private patios and shared terraces. Across the U.S., the Department of Housing and Urban Development (HUD) is encouraging public housing agencies to ban smoking in all or some of their units. 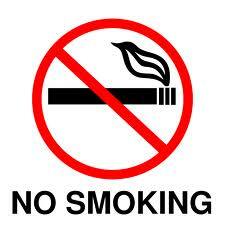 Corpus Christi, TX, Richmond, CA and Snohomish County, WA have instituted non-smoking policies. The intent is to keep tenants safe from second-hand smoke, reduce the danger of fires, and save money on clean up when smokers vacate rental units. Some landlords have made the decision to not pressure or force smoking tenants to vacate their properties. While there are no laws that prohibit landlords from banning smoking, courts have ruled for tenants who broke their leases because of the landlord’s failure to protect them from second-hand smoke. Landlords who have been at the business for a while know that relationships with tenants can be smooth and easy, or rough and rocky, depending on a number of factors. Often, it’s the tenants themselves—they can be trying! But sometimes, one of the factors is the landlord. Rental property investing and management is a tough business, and being a pushover is quick path to disaster. Many landlords we talk to say it’s a fact that tenants can be “trained” to follow the rules and requirements of their leases. This is not to say that tenants are like puppies, or aren’t people who deserve respect—of course they do! 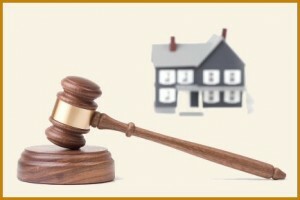 It’s more of way of encouraging good behavior and enforcing consequences for breaking the terms of a lease. When landlords fail at this, they are in for a rough and rocky tenant relationship. Communicate clearly—and often. It’s not enough to sign a lease with a new tenant and then go away. Need a question answered? Ask it. Is the rent late? Call, text or email the tenant. Concerned about the number of cars they’re parking on your property? Knock on the door and talk to them. Ignoring a problem will not make it go away. Establishing communication is the first step to developing a good relationship with your tenants. Clarify expectations. Most tenants are not mind readers. If you are not clear on your expectations, don’t blame your tenants for not fulfilling them. If rent is due on the 1st and considered late on the 5th, spell out what that means on the lease. Will the eviction notice go up on the 5th? Or will you just charge a late fee? If so, how much? And by “due on the first,” do you mean in your hand? In your bank account? Or postmarked on the first? If a unit is “non-smoking,” does that mean no smoking inside? What about outside on the deck? Or in the hallway or lobby? If residents are expected to smoke in certain areas only, then clarify it on a layout of the property. Be firm. For many landlords, this is a problem. For many others, being firm comes naturally. Remember, this is not just to keep tenants following your rules. It’s a matter of fairness. For example, if you allow the single mothers, but not male tenants, to move in without a security deposit, you risk a discrimination charge based on gender. If you ignore one tenant’s yappy dog, but don’t allow her neighbor to have a cat, you’re going to have problems. Know your rules, apply them to every tenant equally, and don’t back down when a tenant asks for leniency. 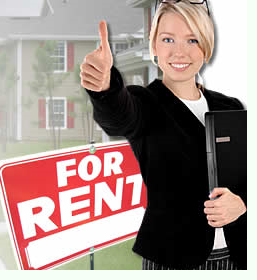 Training your tenants simply means that you require certain behavior from all who lease your property. When you allow tenants to bend or break your rules and requirements, they are training you on how it’s going to be. And that’s no way to run a rental property business! Common gripes between landlords and tenants can often be prevented through clear communication. 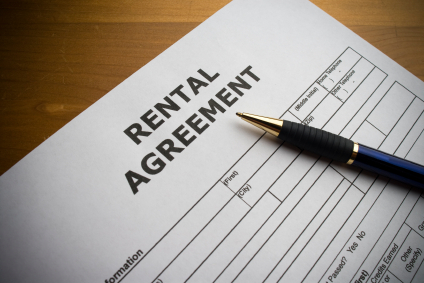 And by “clear,” we mean “absolutely, crystal clear.” Murky, misunderstood or meaningless agreements almost never work in the rental property business. Make sure the tenant understands. Say exactly what you mean: If you require pet deposits for the privilege of housing a pet in your rental property, specify if they are refundable with no damages or non-refundable and not intended to cover damages. The vague term “pet deposit” could be interpreted to mean “refundable if my pet does no damage.” The day a pet-owning tenant moves out and expects that deposit back is not the time to explain that you really meant it’s non-refundable, damage or no damage. 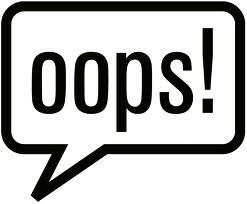 Put it in writing: We’re not lawyers, and of course you should always consult with yours before proceeding along the path to any agreement, but do remember that when it comes to landlords and tenants, the “he said, she said” argument rarely wins over a signed, dated agreement. 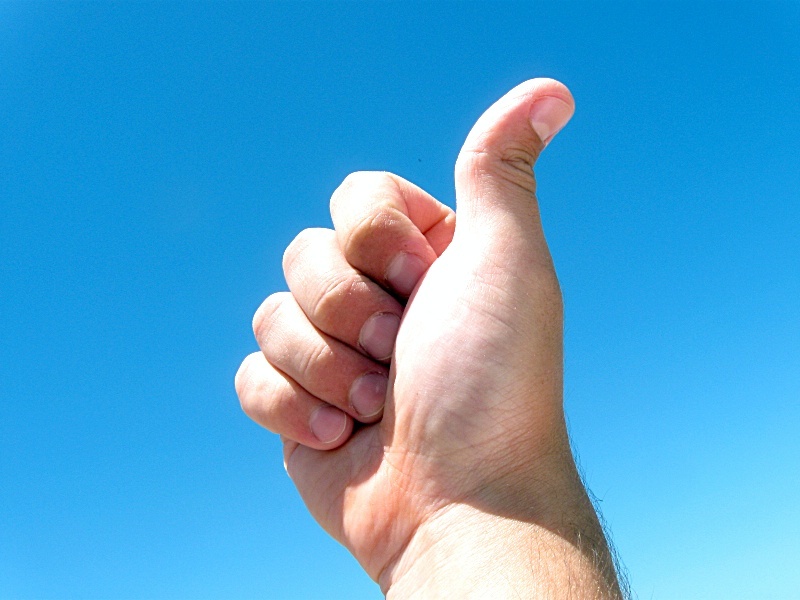 When it comes to the landlord business, the more signatures, lists, photos and pieces of paper you have, the better. Make sure the tenant understands: Never assume a tenant knows what you’re talking about. This doesn’t mean you should patronize or talk down to a tenant—or treat them like they’re in kindergarten. It does mean to take the time to explain every detail of the lease agreement, tenant rules, pet policy, causes for eviction, quiet hours and even appliance operation. Whatever it takes to establish a respectful, mutually agreeable relationship in the beginning will pay off through the time of the lease. It takes time and effort to look a tenant in the eye, ask if they understand, explain if they don’t, and obtain a signature saying they do. But it can save a lot of hassle down the road. Get the tenant’s buy-in: Don’t dictate to your tenants. Help them understand that every rule, every procedure, and every effort on your part is to make their rental home a place they and their neighbors want to live. Ask for their cooperation in making it so. Sounds simple, right? As with anything that’s worth doing, establishing clear communication with tenants may take time and practice. But it can’t hurt to try and see if it makes the landlord/tenant relationship a little smoother and more pleasant! Remember avocado ranges and harvest gold refrigerators? They’re not that crazy compared to appliances from the 40s and 50s, when baby blue, turquoise and pink were once considered fashionable in the kitchen. 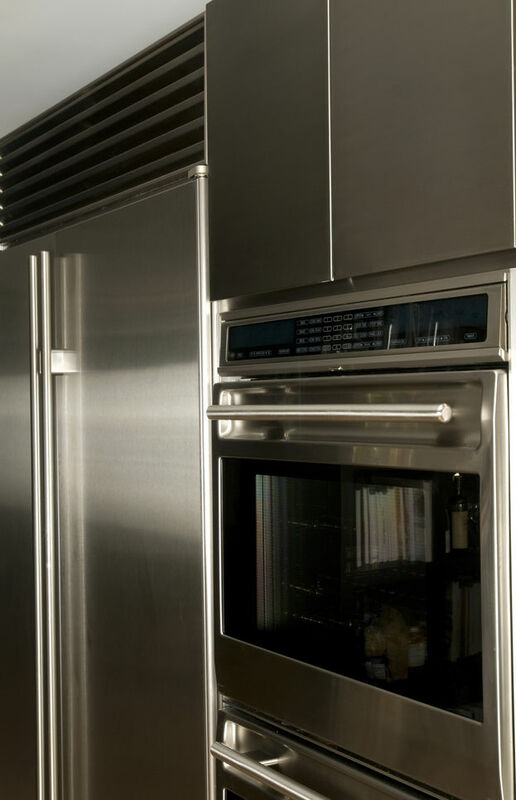 Color trends come and go, but it looks like stainless steel appliances are here to stay. 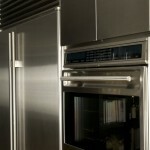 Tenants love that stainless goes with any kitchen color scheme, always looks clean, and blends into the room. And when viewing a rental property, tenants really respond to stainless steel. Investing a bit more in stainless steel appliances can mean the difference between a signed lease and a great tenant walking away. It’s also important for all the appliances to match. A black refrigerator, almond stove and white dishwasher just don’t look good together—which is fine if your potential tenants don’t care about how things look. But wouldn’t you rather appeal to tenants who care about appearances? It’s usually a sign they like to keep things looking good and will take better care of your rental property. And if you don’t care how things look in your rental property, what is that saying about you as a landlord? High efficiency, “green” appliances are also becoming more popular. When replacing appliances in your rental units, look for the Energy Star accreditation. Potential tenants will be impressed that they’ll save money on energy bills. Besides, they’re better for the environment. For bathrooms, the #1 worst idea is carpeting. Moisture, mold, and crawly things love hiding in carpet fibers. If you have carpeting in a rental unit bathroom, rip it out and replace it with something easy to keep clean and sanitary, like ceramic tile. Some of the new engineered woods are also good choices because they are moisture-resistant and tough. Stone tiles can be slippery—and they’re expensive. Ceramic is cheaper, and looks fantastic. Another good choice is sheet or tile vinyl. It looks good, is inexpensive, and easy to clean. Keep in mind vinyl won’t be as desirable to some tenants as ceramic tile. 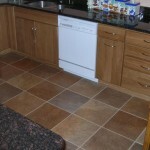 Where ceramic tile is preferred by many tenants for bathroom floors, it’s not the best choice for kitchen counters. Not only is it difficult to install, it’s a bear to keep clean. The grout will chip and fill with crumbs and water. It also needs resealing or it will crumble. 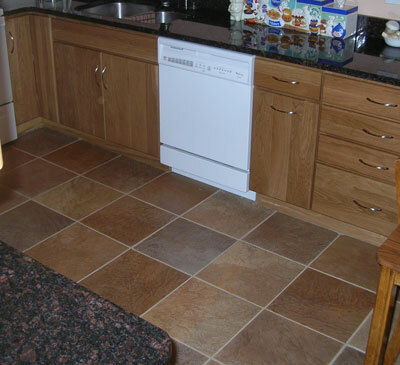 With the abuse some tenants can inflict on counters, ceramic tile might not last. 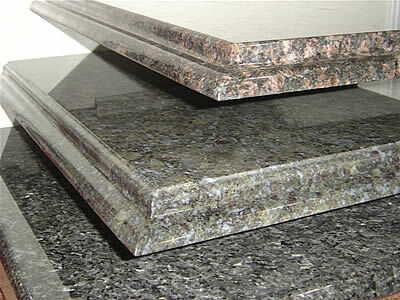 Laminate is layered, like laminate flooring. It’s usually made of paper and resin pressed together under pressure, with a core of composite chip wood. Inexpensive and easy to install, it is also easily damaged. 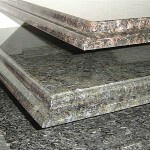 Laminate is generally acceptable to most tenants. Solid surface counters, like Corian and Earthstone, differ from laminate in that they are one solid piece. Scratches and gouges can be sanded out—so they’re tough and durable. They will crack and scorch if exposed to high heat. Design-savvy tenants love the look of solid surface countertops. Remember, appealing to your tenants‘ sense of design and style is a great way to help improve your vacancy rate.